The New York Times has an article today on how older brides are holding botox and other cosmetic-fix-oriented parties for their bridesmaids. 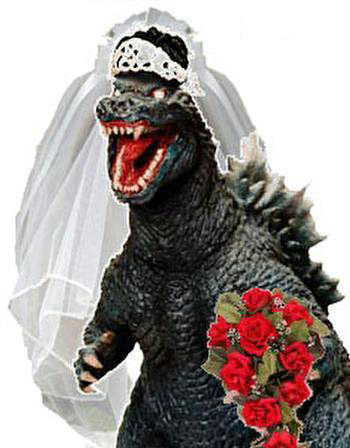 It’s a whole new take on the term “bridezilla,” no?! No bones about it ladies. As you enter the early stages of menopause, your bones lose their ability to retain their mass and manufacture new bone tissue, resulting in bone loss and increasing the risk for osteoporosis. In addition to exercise and eating calcium-rich foods, experts recommend calcium supplements to make up for what you might be lacking. According to the National Osteoporosis Foundation, adults ages 50 and over need about 1200 mg daily, while adults up to age 50 need about 1,000 mg daily. Calcium supplements have been shown to slow bone loss in postmenopausal women but for in some, may also cause bloating and constipation. Fortunately, new research published in the early online edition of the journal Calcified Tissue International shows that supplements containing 500 mg calcium citrate are absorbed more efficiently than those containing 1000 mg calcium carbonate. What’s more, the lower dose of calcium citrate also causes fewer side effects. The bottom line is less may be more, except for when it comes to side effects. For those of you who don’t know the difference between the two forms of calcium, calcium citrate is derived from the citric acid while calcium carbonate comes from the shells of marine organisms, snails and eggs. Finally, it’s Wednesday! For whatever reason, the calcium symbol reminds me of the following scene from Singing in the Rain. Enjoy! Musings of a Mid Life Diva wrote a beautiful post today about the importance of getting your “twinkling” on, i.e. leaving some of daily worries behind to recapture the joys of Summer. To celebrate life and as a nod to Mid Life Diva, I’m planning on taking a break today to ‘twinkle my toes.’ Read the post and do the same. You’ll be glad that you did. Over 2.4 million botox procedures were performed in US women in 2007, according to statistical data from the American Society for Aesthetic Plastic Surgery. 25% of these injections were performed in women between the ages of 51 and 64, while 47% were perfomed in women between the ages of 30 and 50. What these stats imply is that menopausal women are getting a lot of botox done. In the youth-obsessed culture in which we live, cutting, reshaping, lifting and plumping has become the norm, not the exception. Yet, I do wonder whether or not too much of a good thing is well, is too much of a good thing. When I see photos of celebrities like Nicole Kidman or Cher, I just cringe. And isn’t it ironic that one of the most potent poisons we know of is used to create the illusion of youth? But the real challenge is to understand how the external changes that we can see relate to the internal changes that we can’t. I believe that this knowledge can help us to define effective longer-term strategies that ultimately result in a better balance between the two. Afterall, botox is only skin-deep, isn’t it? Dem bones, dem bones gon-na walk a roun.’ Spiritual, traditional childrens song. Writer: anonymous. Remember that song from your childhood….the leg bone connected to the knee bone. The knee bone connected to the thigh bone. The thigh bone connected to the back bone…etc etc? Several studies are starting to emerge as to whether or not long-term use of osteoporosis drugs actually weakens the bones they are supposed to protect. The most vulnerable area? The thighbone, which, in some patients, have snapped during walking or standing. Most recently, doctors from New York Presbyterian-Weill Cornell and New York’s Hospital for Special Surgery report in the Journal of Orthopedic Trauma that 19 of 20 women who had used the osteoporosis drug Fosamax for at least 6.9 years suffered from this type of fracture. Fortunately, similar fractures have not been observed in association with other drugs of the same class (e.g. Actonel, Boniva). The New York Times has a great article about this issue worth checking out. In the interim, last month, I wrote about a Thai herb that might help peri- and post-menopausal women with bone loss. Other important steps include a diet that is rich in calcium and vitamin D, regular weight-bearing exercise, and avoidance of excessive alcohol or caffeine. You can read also more about osteoporosis and the role of lifestyle changes in prevention at the American College of Rheumatology website.